I finished weaving the second blanket and had left over yarn and left over warp... so I did some experiments with one of my first coil yarns. Yesterday I reached the end of the warp... although there is still a bit of red yarn left over. Now I have to fix any mistakes and broken warp threads , twist 2880 warp ends to a fringe and wash it. There are mistakes in it, but I had a lot of fun playing with the colors. I love the pattern and I will make more... but right now it is too exciting to try out different things. ... you need a smile for lunch break. I started taking a weaving class about a year ago. Every monday evening I go to my weaving school. It is an old building and it always was a weaving school. Today it is also a museum: Haus der Handweberei Sindelfingen. It's a lot of fun and it's always a bit sad to stop when class is over or when there are holidays and there is no weaving class for 6 weeks (in the summer). But now my boyfriend decided that he wants to buy me a floor loom. 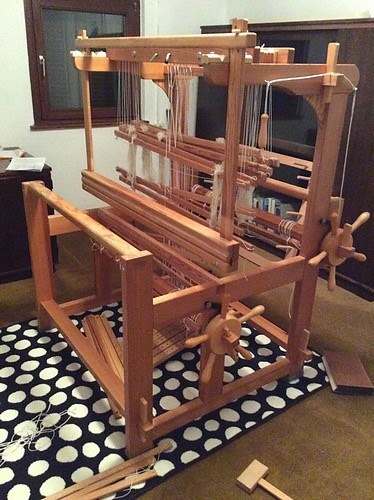 I started looking for one and finally found a used Glimakra Ideal, 100cm weaving width, 8-shaft Countermarch loom. It was exactly what I wanted, the price was ok and it was an hours drive. I was very excited when I won the ebay auction. 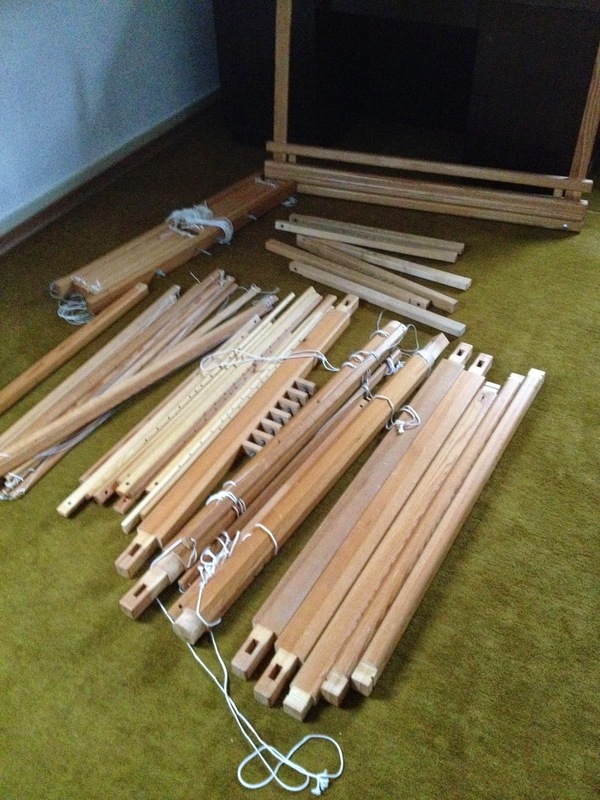 Last weekend we went there and got the loom: a wooden puzzle. I still need some stuff to tie it up and other things, but I hope I can put my first warp on it next weekend. 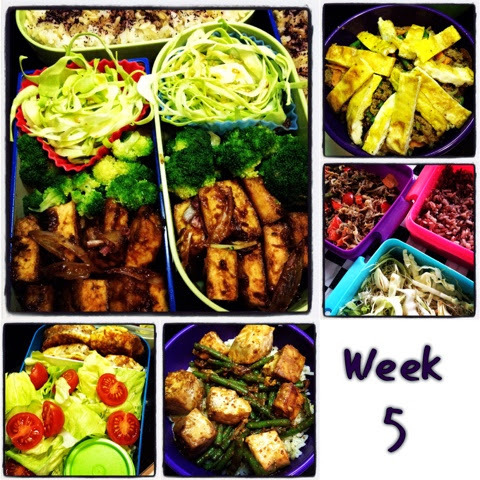 The past week was rather busy, but at least I made bento everyday. As always most of the receipes are from the Just Bento cookbook, the 10 minute bento cookbook or JustBento.com!